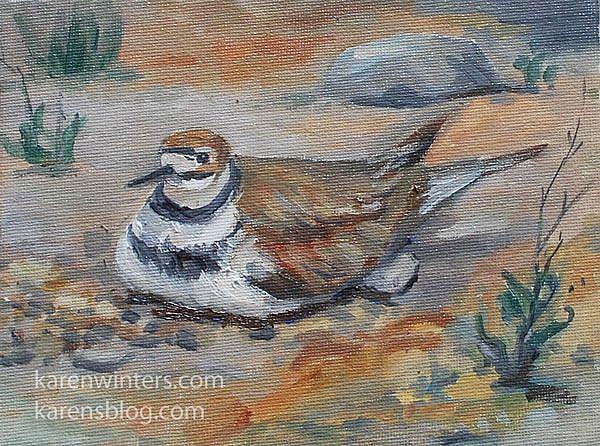 I painted this kildeer bird from life, sitting on the ground at Dana Point. It was nesting on the ground and didn't move all the time that I was there. Wildlife plein air painting.